CONSPIRATOR has confirmed that the band will perform throughout the East Coast this Fall, hitting the road for the “Going Up Tour” presented by TheUntz.com in September, October and November. The band will visit fan favorite venues and cities for 1-2 weeks each month, in addition to scheduled appearances at the most popular fall festivals throughout the country. More information is available by visiting Conspirator's official events page. Tickets are available directly from all venues and festivals. 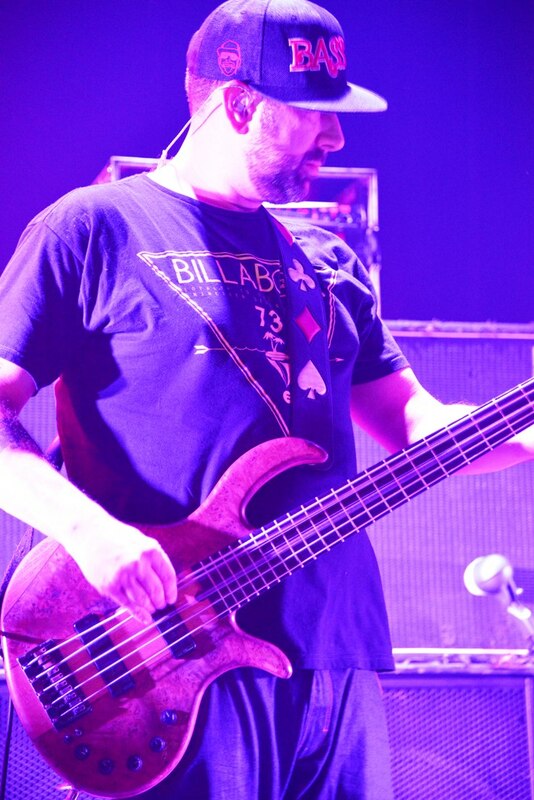 Featuring Marc Brownstein (bass) & Aron Magner (keys) of The Disco Biscuits, Chris Michetti (guitar) from RAQ and Torch (drums), the 4-piece band fuses live instrumentals with electronic elements, which should come as no surprise to those familiar with the band members' backgrounds. The band is set to feature their new single, “Up,” which is expected to release in conjunction with the Fall Tour. The title track of Conspirator’s new and forthcoming EP is an epic and triumphant progressive house production, and represents yet another evolution for the always growing group. While producing the EP, the band had an epiphany and decided to change their approach entirely. The result is a new direction toward live instrumentals augmented by computers rather than a computer-based band augmented by instruments. As the band members find new inspiration in their decision, they are just starting to scratch the surface of what is possible when you combine the power of a live band with the possibilities of computer production on one stage. An action-packed Spring and Summer saw Conspirator tour hard throughout the country to support their latest EP release, Conspirator - Unleashed, at top festivals such as Bonnaroo, Hangout, Camp Bisco, Summer Camp and Mountain Jam, in addition to a nationwide tour that visited the Northeast, Southeast, the Midwest, Colorado and California. Now, this fall, fans old and new will have the chance to see one of their summer festival favorites in a venue close to home. Conspirator will visit Camp Barefoot Music Festival and Chicago's North Coast Music Festival to wrap up the summer this August, before a string of September shows that will see the band hit Harrisburg, PA, Morgantown, WV and coastal Virginia, in addition to stops at upstate New York's Catskill Chill Music Festival and Ohio's Werk Out Music Festival. The band then tours the East Coast hard throughout October, visiting greater NYC, Providence, RI, Massachusetts, Pennsylvania, Connecticut and upstate New York before rounding out the month at Atlanta's Terminal West for a Halloween blowout that will carry over to November 1st's appearance at the String Cheese Incident's Suwannee Hulaween 2013 in Live Oak, FL. Conspirator will close out their current Fall plans in November with stops in their hometown of Philadelphia, Pittsburgh and at Washington, DC's legendary 9:30 Club en route to five stops in as many days in South Carolina and North Carolina, that are sure to be a treat for the band's mid-Atlantic fans.